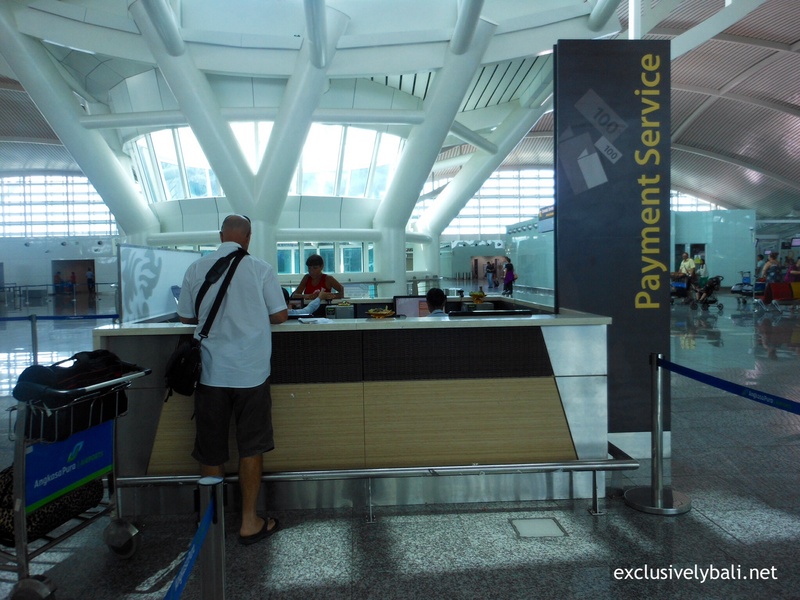 Passenger Service Charge (otherwise known as Departure Tax) to be included in Ticket Price! 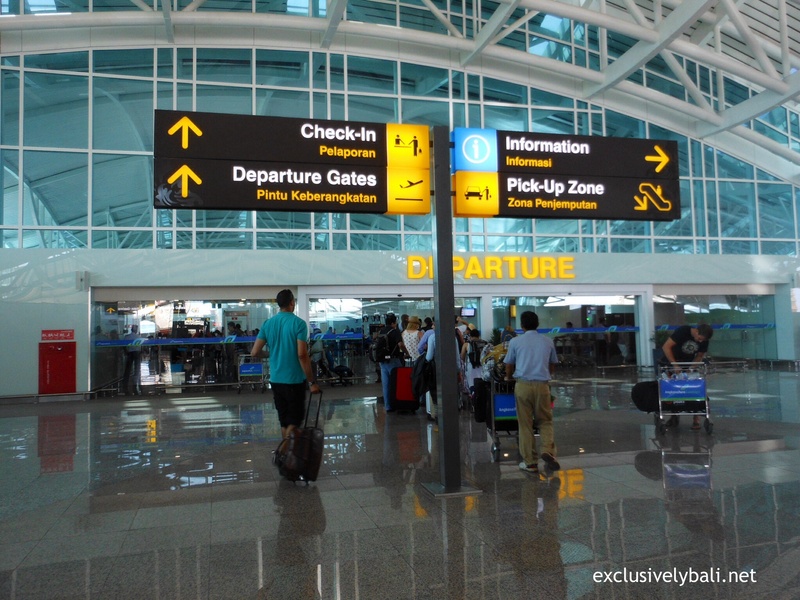 The Passenger Service Charge (PSC) otherwise known as Departure Tax, of 200,000 Indonesian Rupiah that is normally paid upon departure from Bali, is to be included in all airline ticket prices. 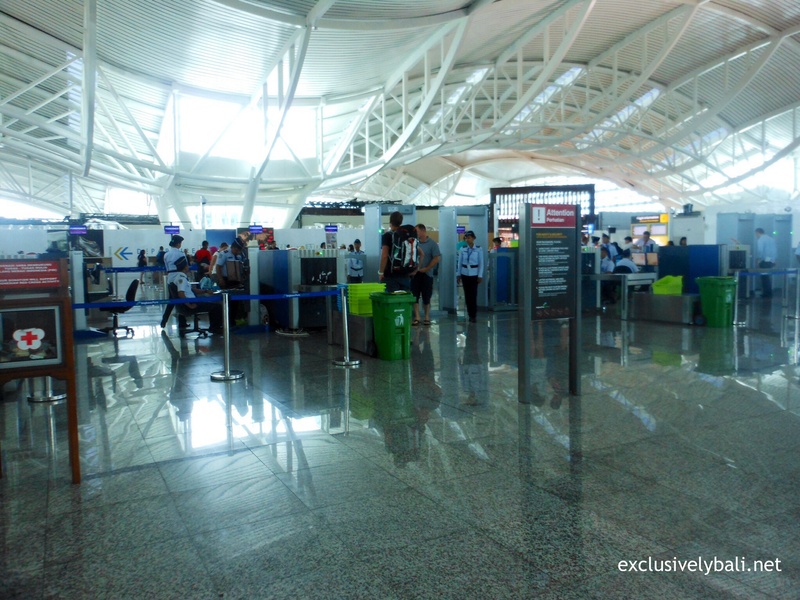 The government requires ALL airline ticket prices to include the PSC on ticket prices by March 1, 2015. 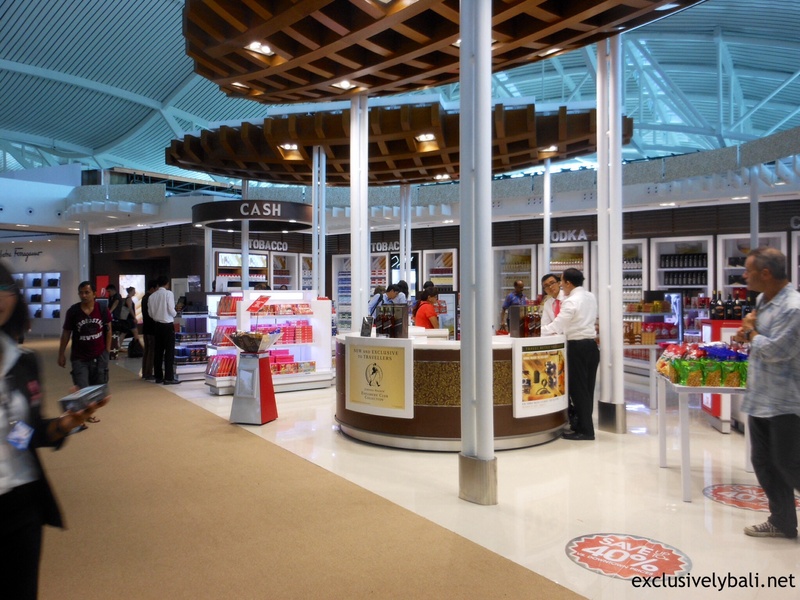 Garuda is including the Passenger Service Charge in all ticket prices effective February 1, 2015 for flights after March 1, 2015. 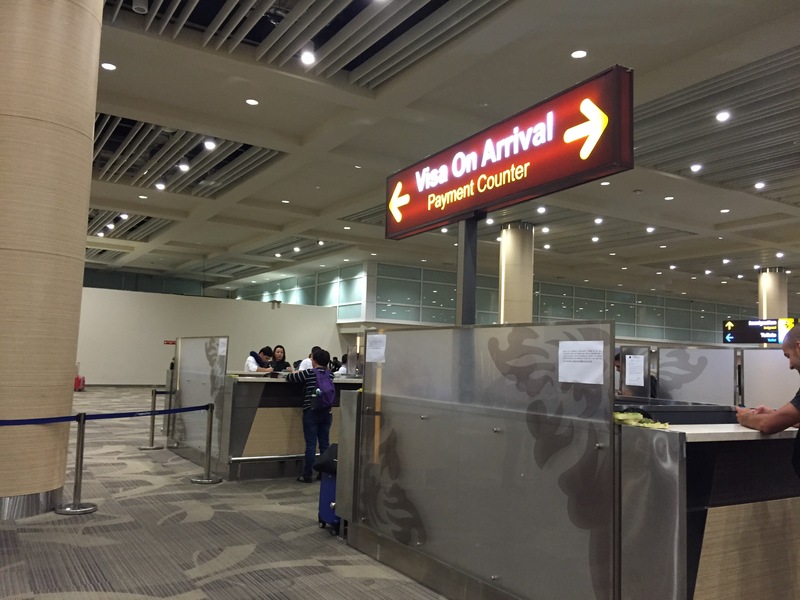 For those who have already booked a flight departing before March 1, 2015, they will need to pay the Passenger Service Charge in cash at the airport. 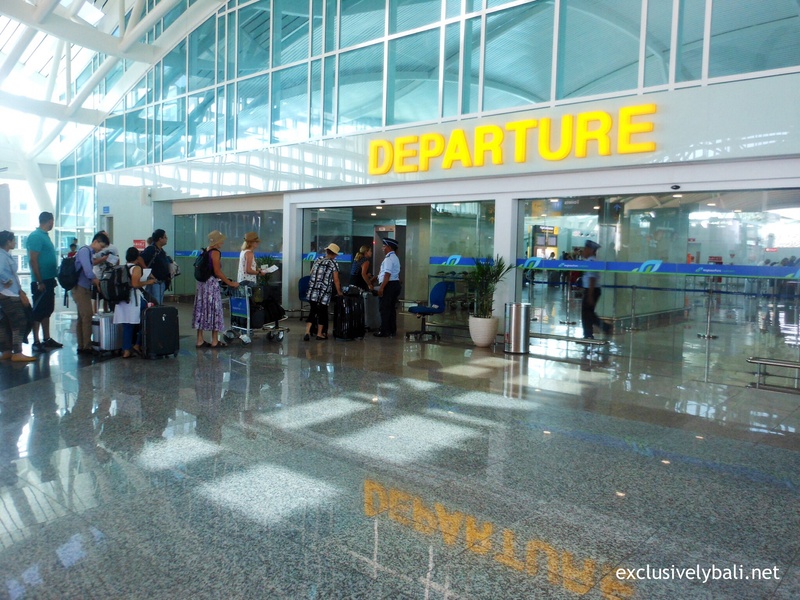 I Gusti Kompiang Adnyana, the Head of the Bali Regional Office of the ministry of “Justice and Human Rights”, ensures that there are no more rogue immigration officers who commit extortion against foreigners during the examination of travel documents at the Denpasar Ngurah Rai Airport. 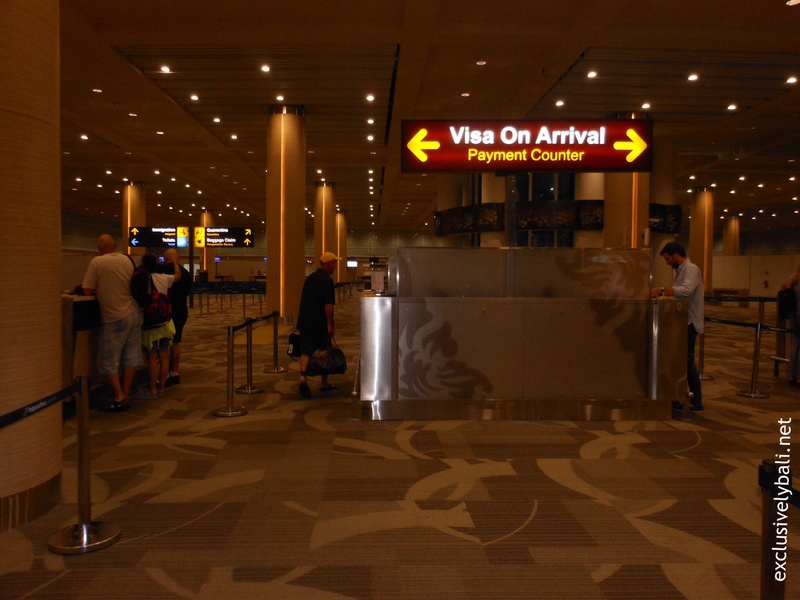 The statement refers to the issue of Immigration staff offering bribery to foreigners who don’t want to stand in the immigration queue for the passport control, often also called “Fast Track”. “There are no more rogue officers, I guarantee no more. This was an issue a few months ago and has now been rewired, and it doesn’t happen any more,” said Kompiang Adnyana in Denpasar, Bali, on Thursday (11/27/2014). The issue of alleged illegal payments (bribes) taken by immigration officers came from comments from Made Pastika, the Governer of Bali, through complaints from foreigners who visit Bali. 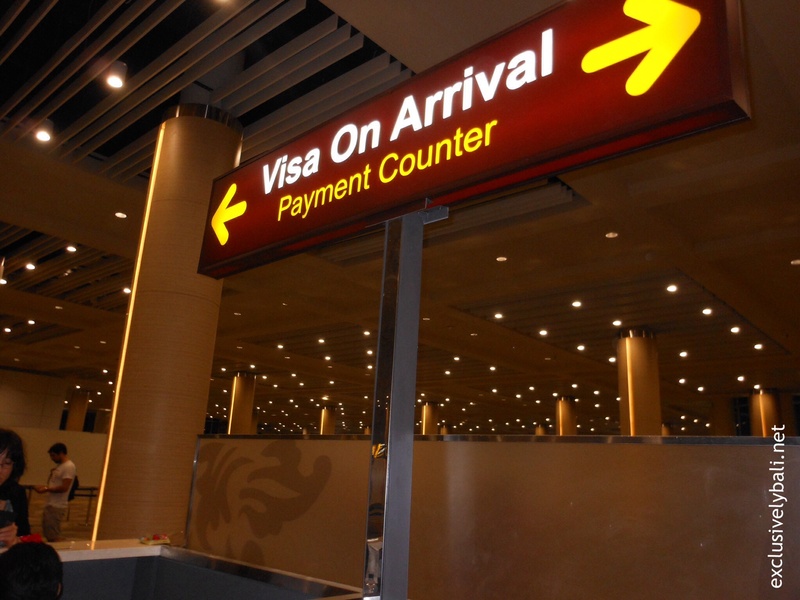 Governor Pastika says he will make a video recording of the poor service from the immigration officer at the airport. 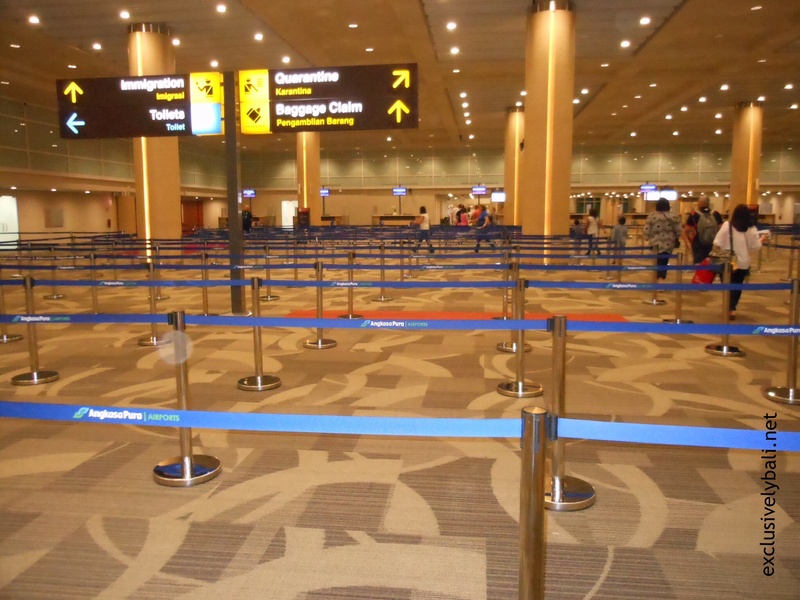 Moreover, when long lines occur at the passport control, the number of officers is actually at a minimum. “We continue to fix. What was once a long queue, we try to improve in order to serve well. It is already better now,” he said. In addition, long lines take about 2-3 hours to serve 3,000 to 6,000 people. 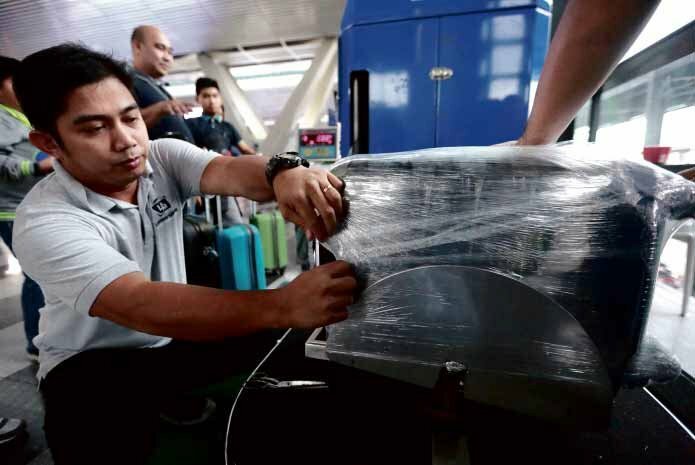 Under these circumstances, the number of immigration officers and technical services should be reconsidered so that tourists, especially foreigners to Bali, can feel comfortable. 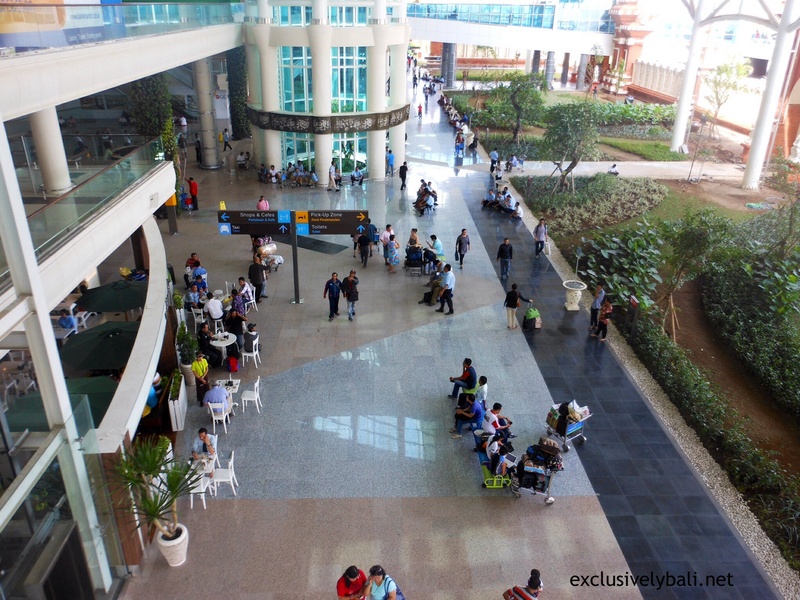 Arriving 3 hours prior to departure, we were unsure of the ease of processing, or of the time-frame now via the brand new Bali Ngurah Rai International Airport (also known as Denpasar International Airport). 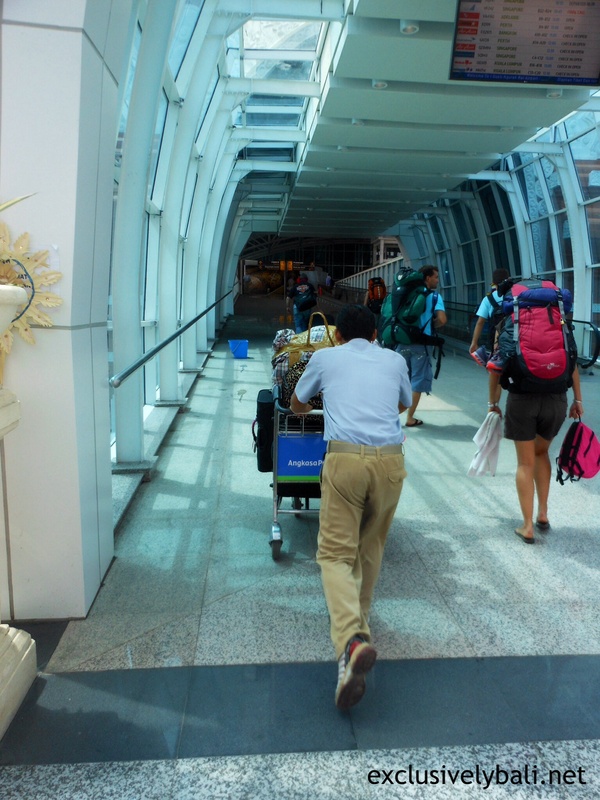 With the assistance of a Porter, our luggage was transferred from our car to the Check-in counter. 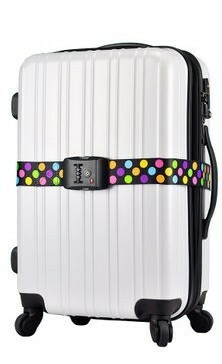 This was a huge help, especially with heavy luggage and an uphill incline to maneuver. Such a bargain too at an advised cost of just 30,000Rp! (We made sure we tipped generously for such a fantastic convenience). 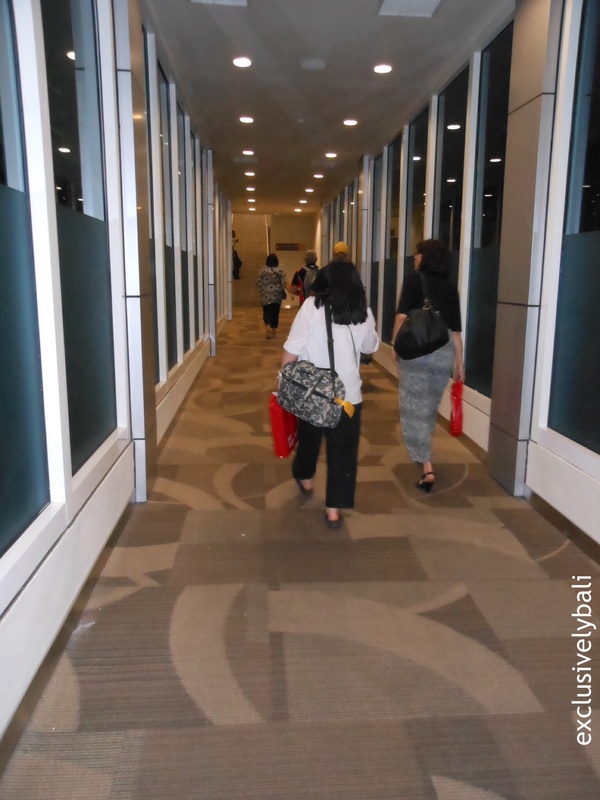 It was a speedy process through the Departure gate. 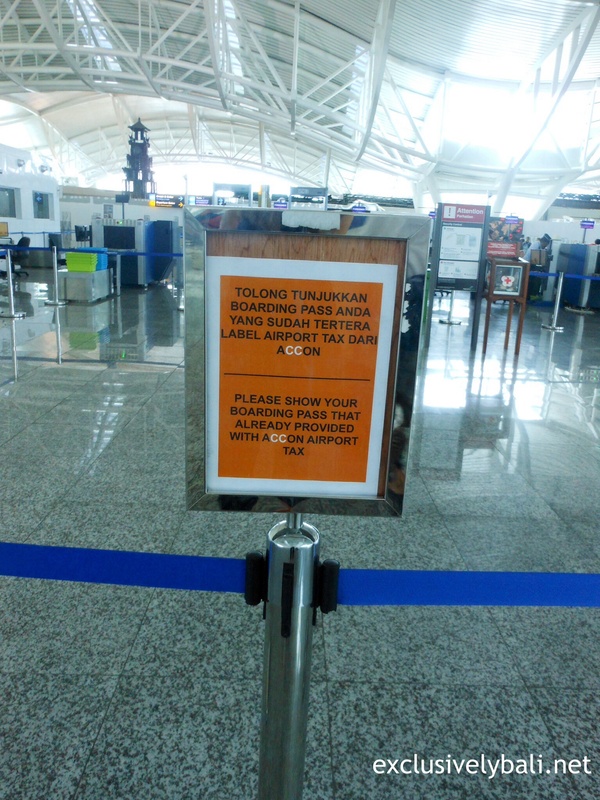 The airport is well sign posted in both English and Indonesian. 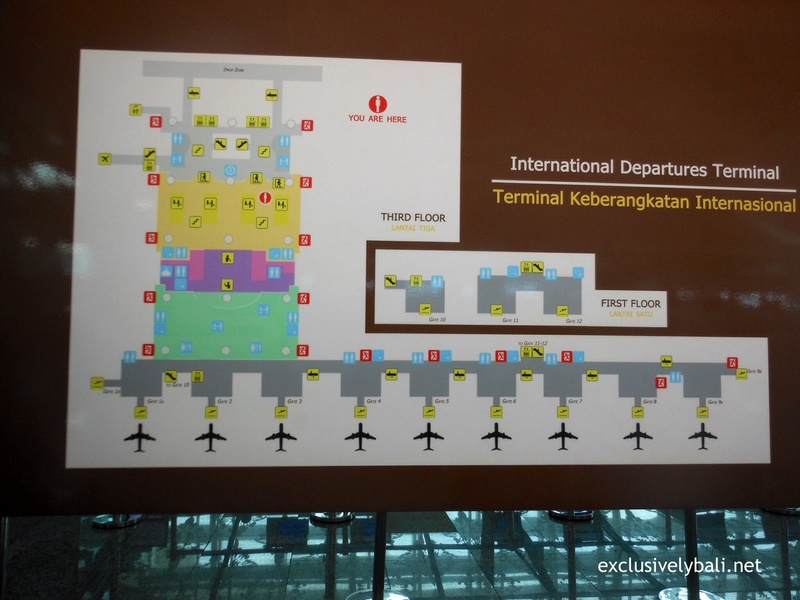 A map of the International Airport is readily available on signage opposite Check-in. 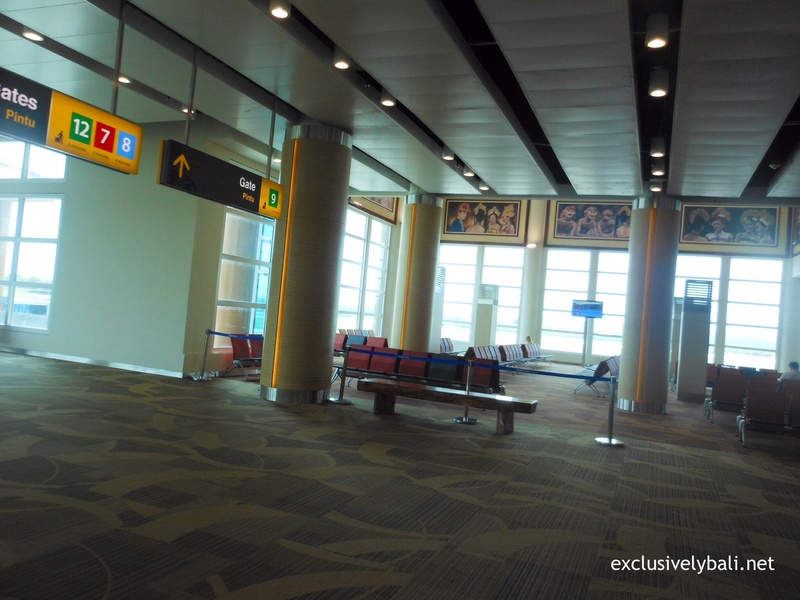 The processing for our flight had only just started with few passengers having arrived, it seemed. I was grateful therefore for a speedy check-in. 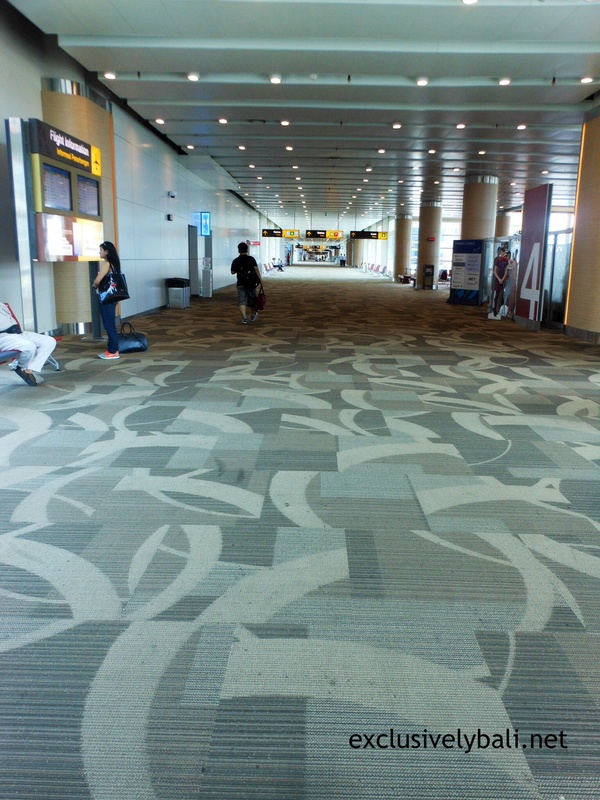 The airport is spacious and light with an easy walk from Check-in toward Immigration. 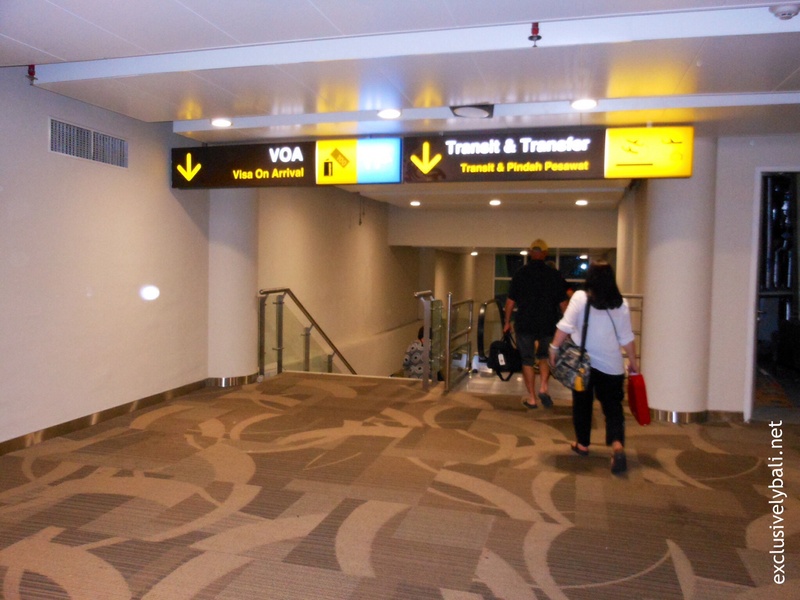 Payment of 150,000 IDR Departure Tax was made with only a couple of people ahead. 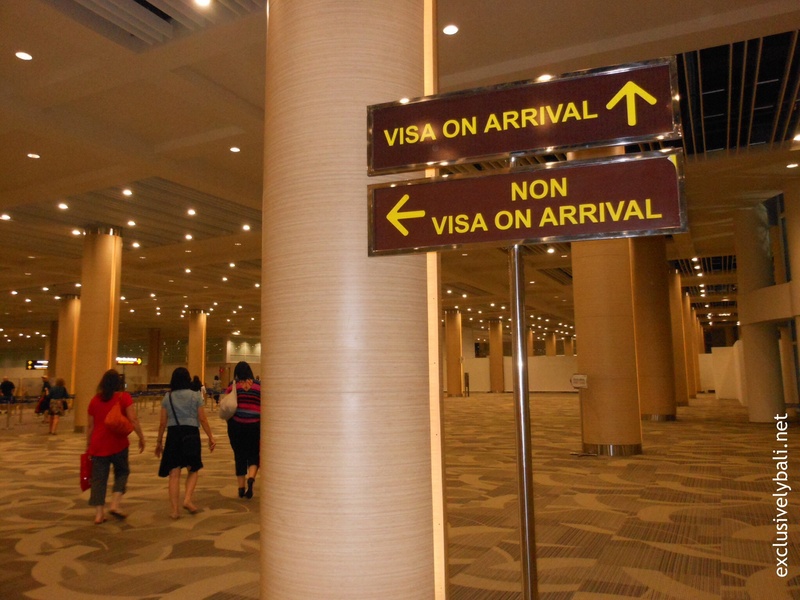 Then there was more signage and security before arriving at the Immigration counter. 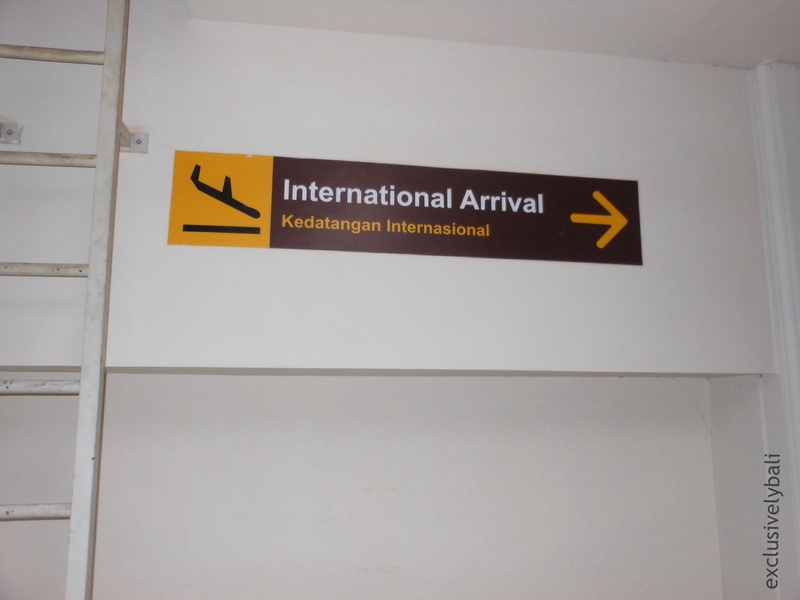 It was an uncomplicated process through Immigration and finally we were in the Departure area. 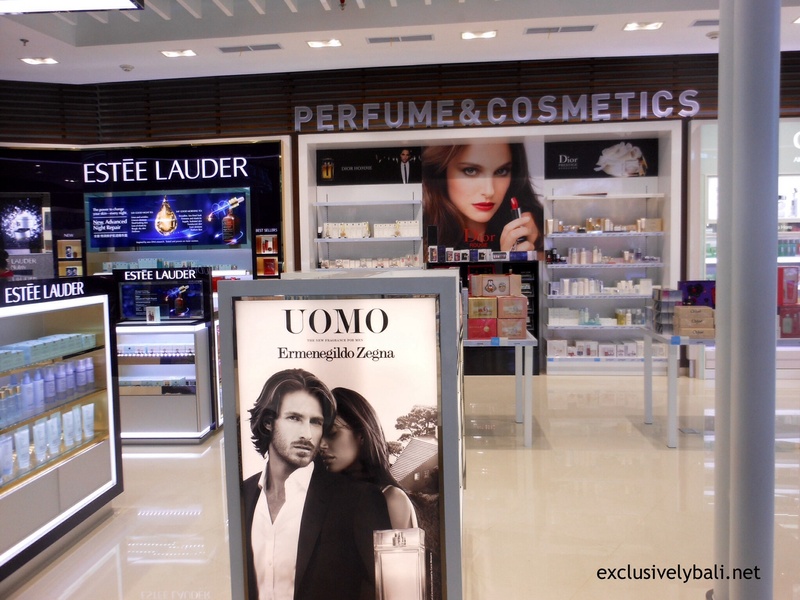 The Departure area has numerous Duty Free shops operating with plenty of top name merchandise. Some of the shop fronts are still temporarily situated along the walkway. 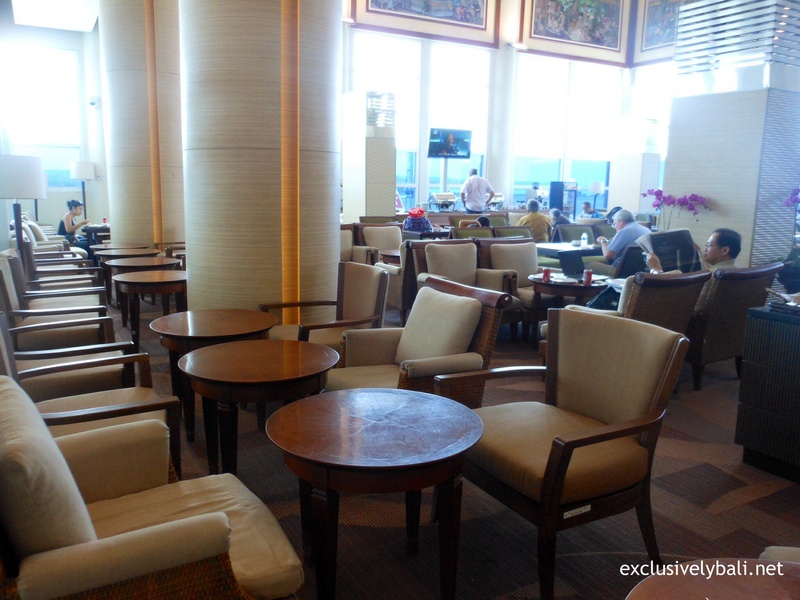 Lounge areas are currently minimal, as are cafe-type shops. If Departures were busy, I imagine seating may be quite an issue at the moment for those waiting for their flights. There are still plenty of areas that are yet to be “unveiled” with temporary partitioning still in place. 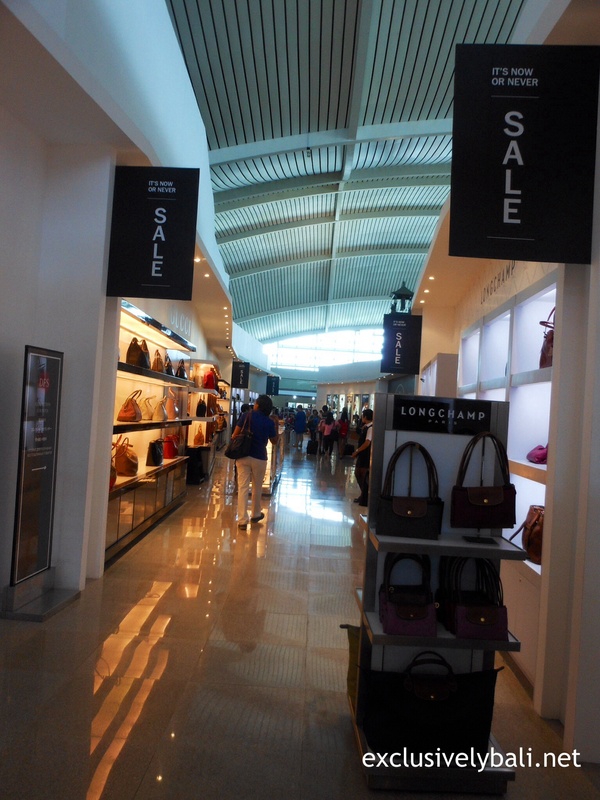 Spacious carpeted walkways are present throughout. 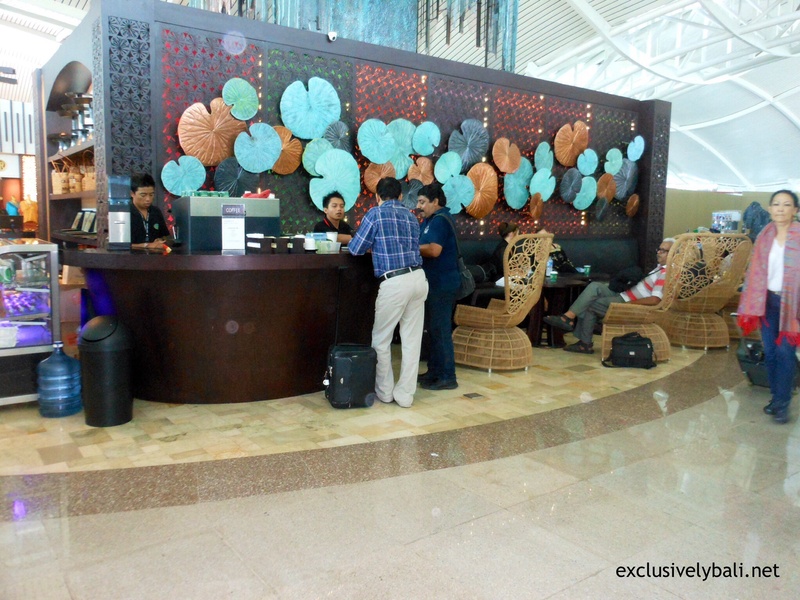 Currently, the only proper lounge area in the Departure area is the Premier Lounge. 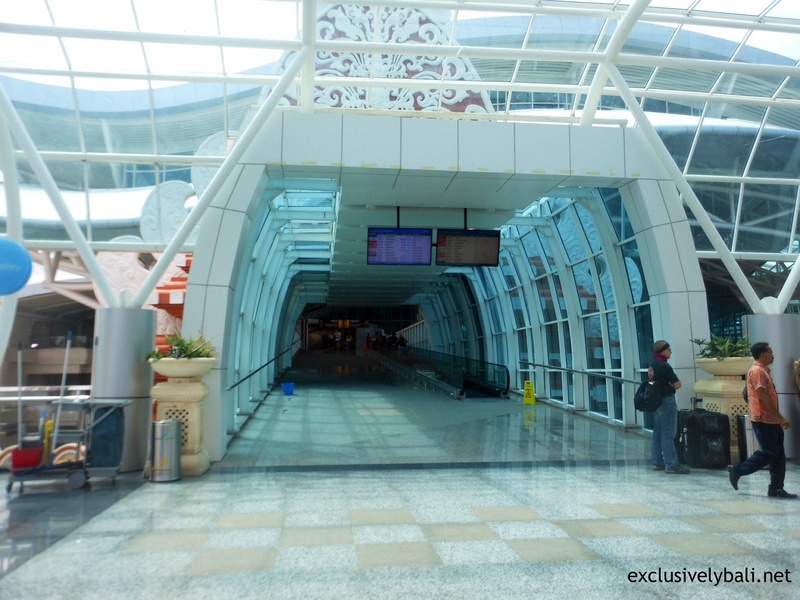 This is a temporarily partitioned off area for “Business class” travelers only. 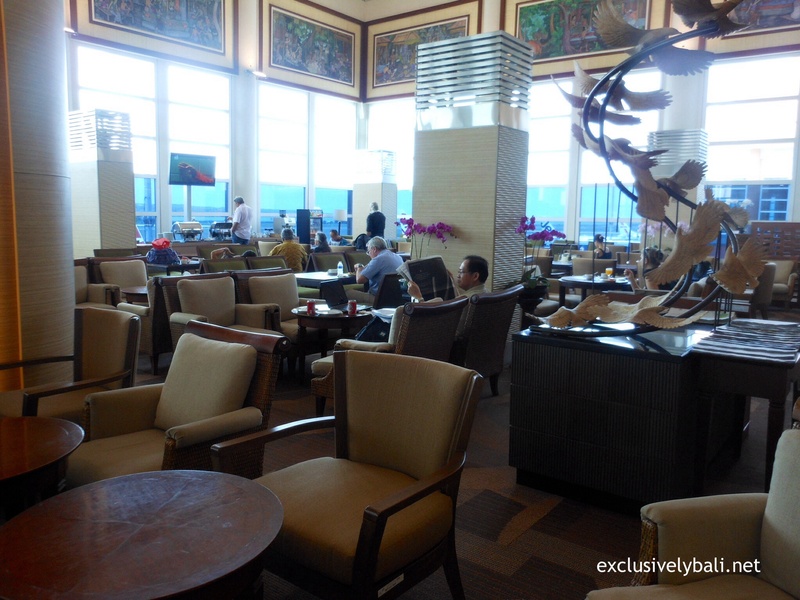 The Premier Lounge consists of chairs, tables, a food area and free wi-if. Sadly, we were not travelling Business Class. 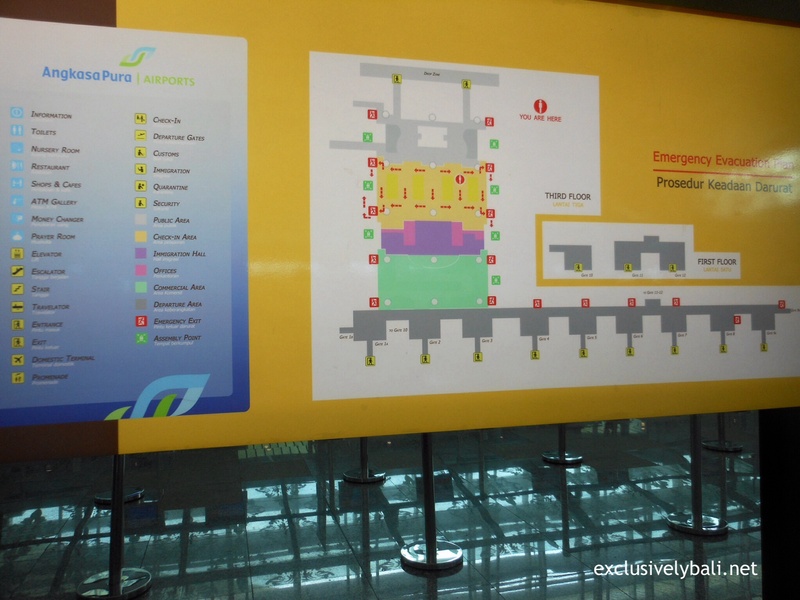 We had plenty of time before our flight departure so chose to sit in the adjacent Departure area 4. This was conveniently empty. Several ceiling mounted TVs were also in this area. 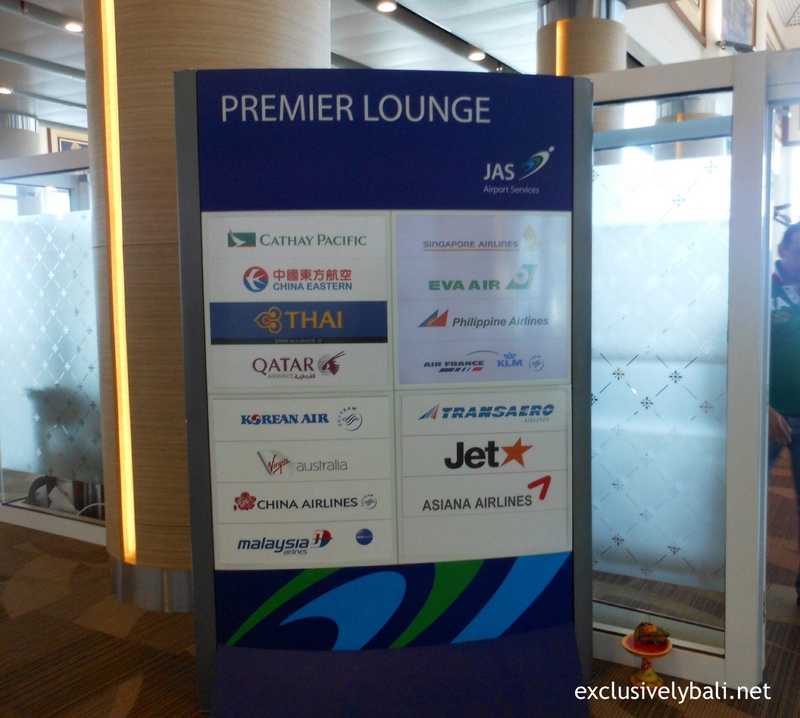 Departure 4 is directly next door to the current Premier Lounge. 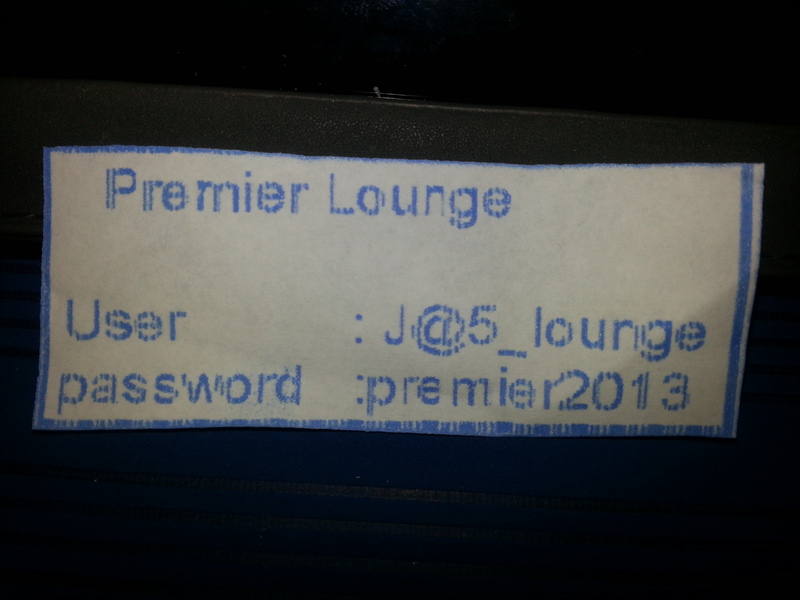 Having spied the username and password in the lounge earlier, we were able to log onto the Premier Lounge wifi for FREE!! 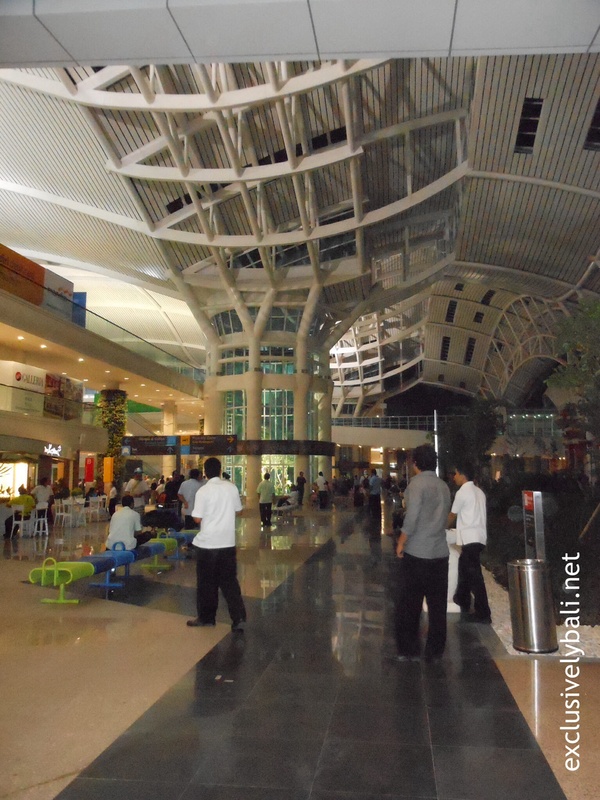 Overall, we were fortunate to have enjoyed a comfortable departure experience via the spacious, new Denpasar Airport. Once completed and fully operational, I believe it will be very impressive! 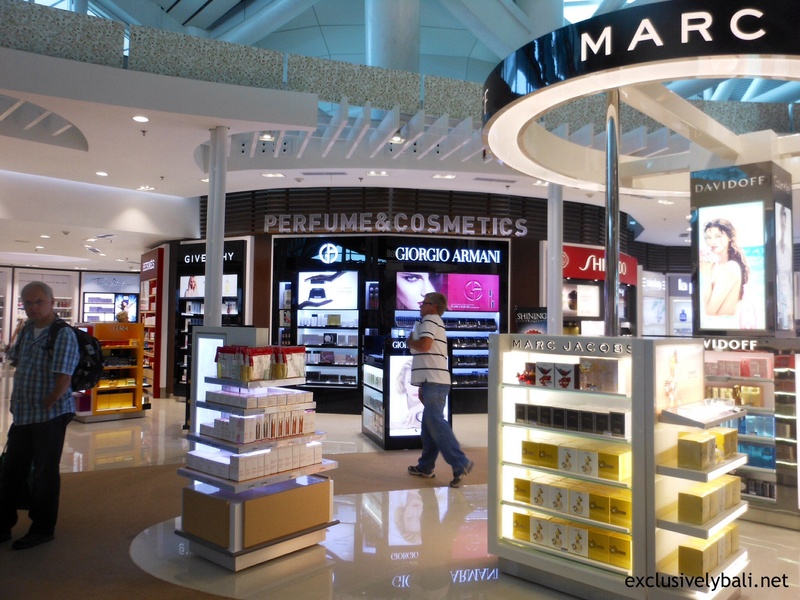 HINT 1: Do not queue for the toilets at the gate from which your flight departs. 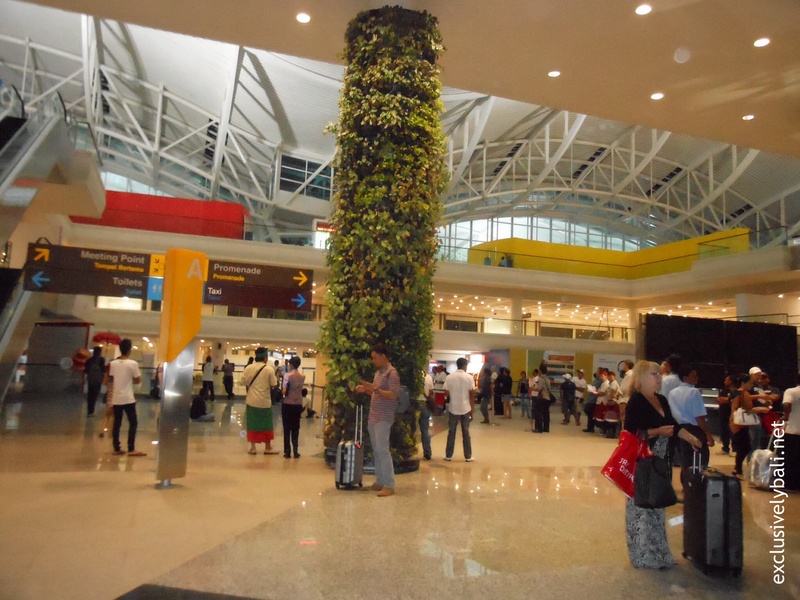 Walk a few minutes toward the opposite end of the terminal which I found to be not as busy. This is where we found an empty Departure lounge to sit in and there were plenty of empty toilets and several quiet food and beverage stands too. 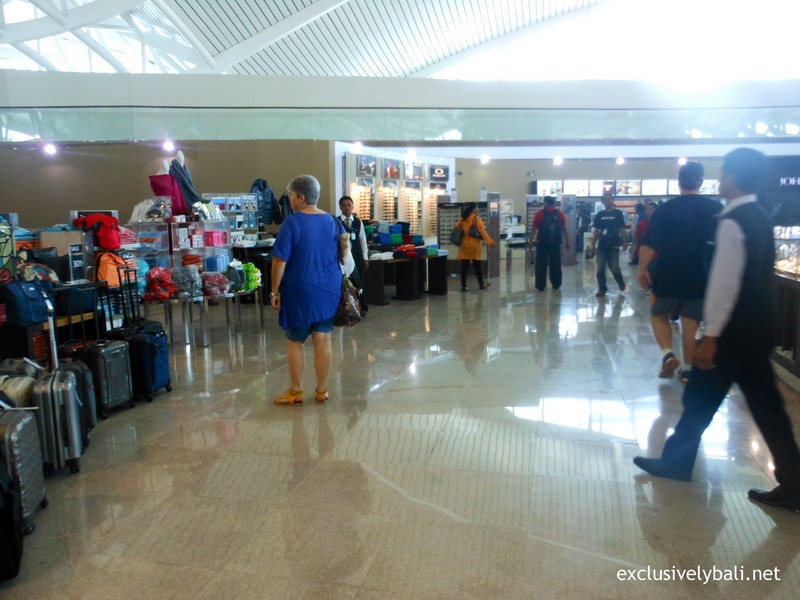 Arrivals update at the new Bali Ngurah Rai International Airport …. 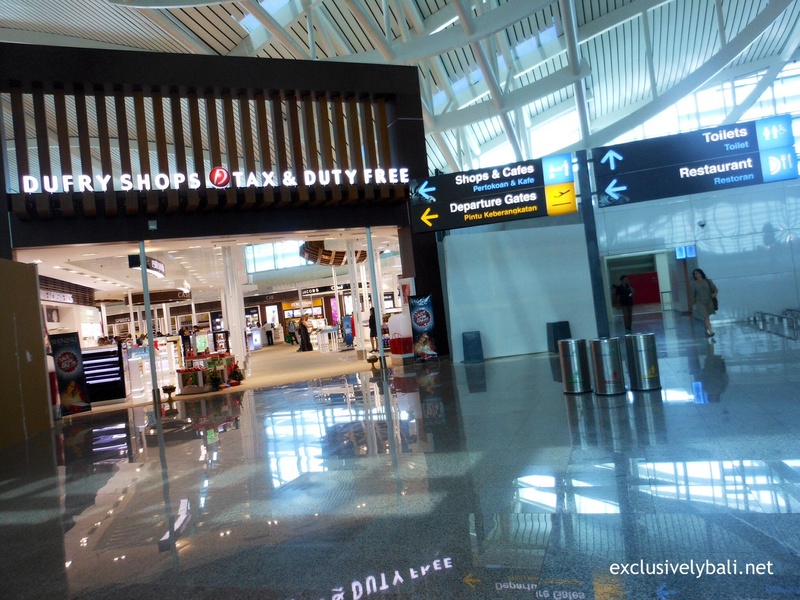 Having only recently opened, I was keen to witness first hand the brand new Denpasar International Airport. 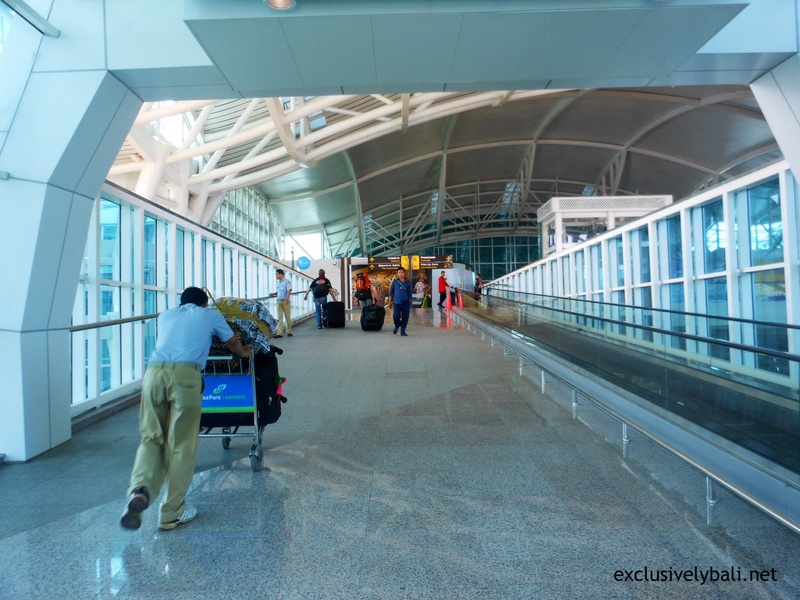 Arrival into Bali has vastly improved with the new Bali Ngurah Rai International Airport (also known as Denpasar International Airport). 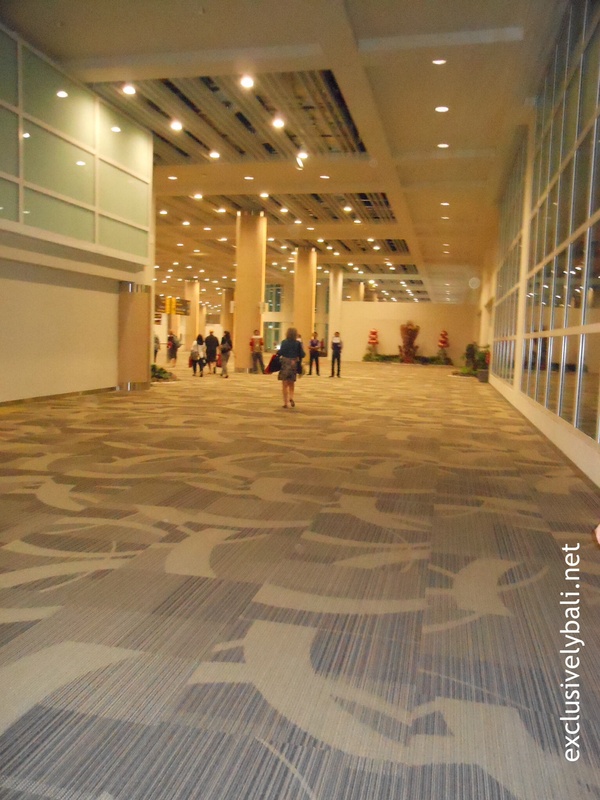 There are huge spaces in the new Arrivals terminal and the walkways are carpeted. It is an easy process to negotiate with good signage throughout. 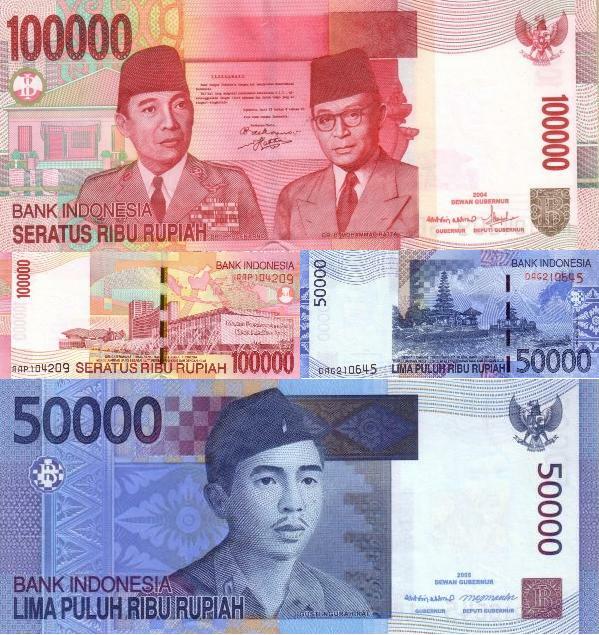 Visa on Arrival (VOA) can be paid in almost any denomination with change given in Indonesian Rupiah. At the VOA counter, you will see the VOA figure in varying denominations. (See Currency and relevant price below). 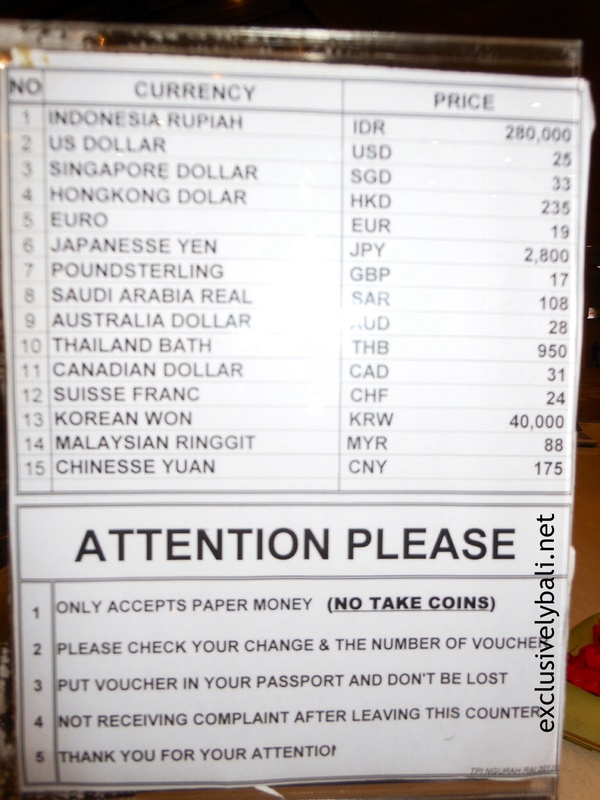 The current exchange rate at the VOA counter is also clearly shown. 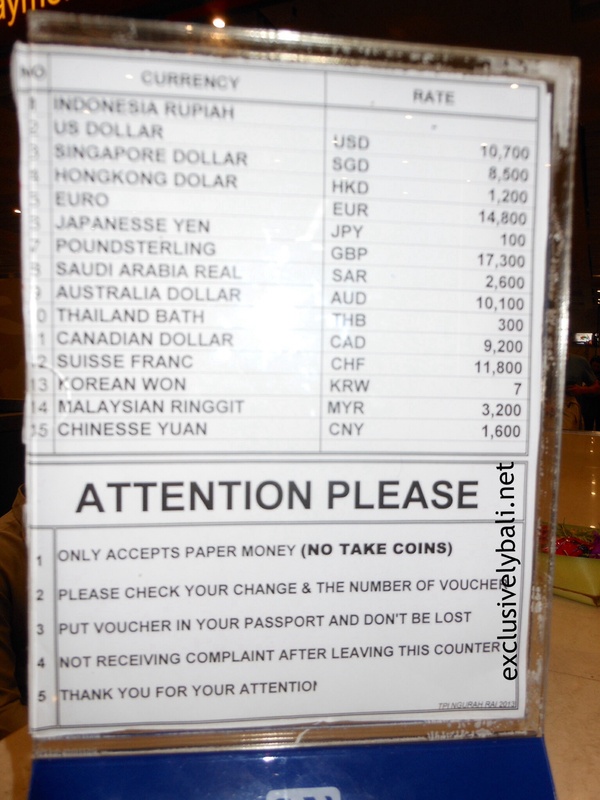 (See pic detailing Currency/Rate below). 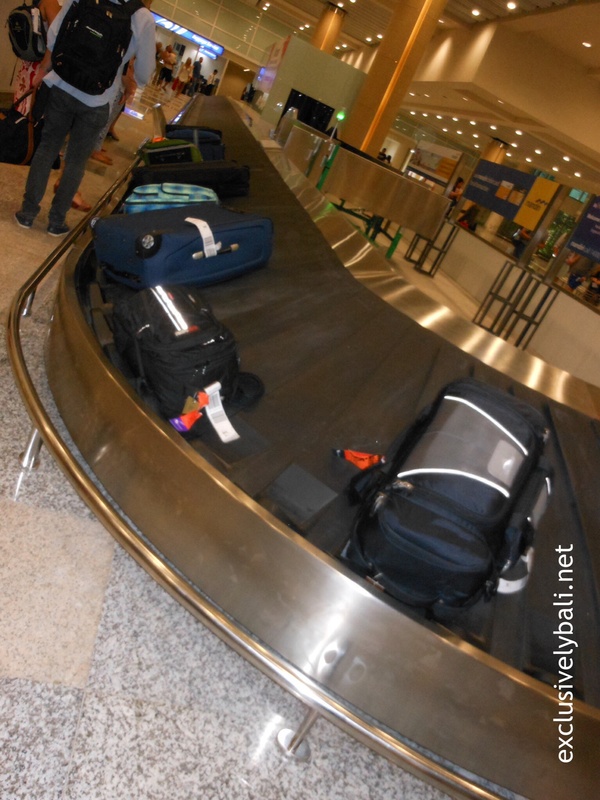 Once through Immigration, your luggage will arrive on the new luggage carousel. 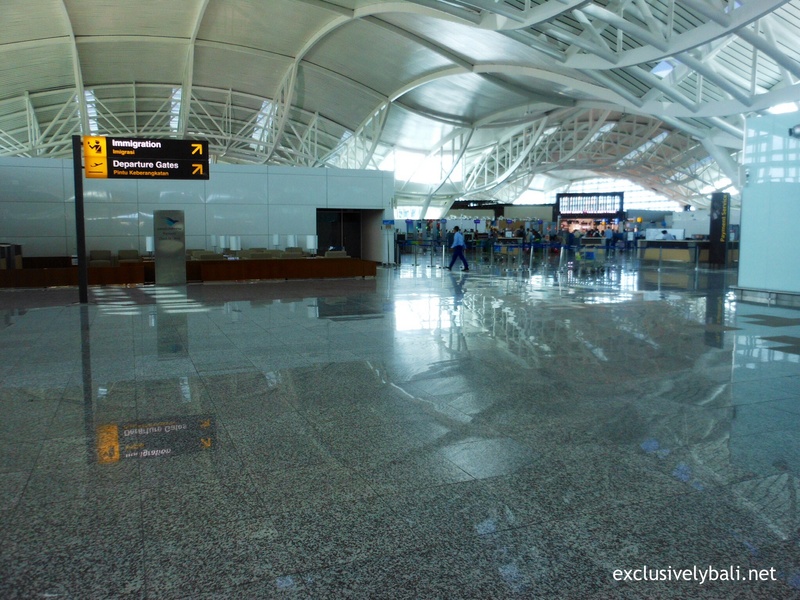 The spacious, new airport appears impressive and uncluttered. The exterior of Arrivals is easy to negotiate. 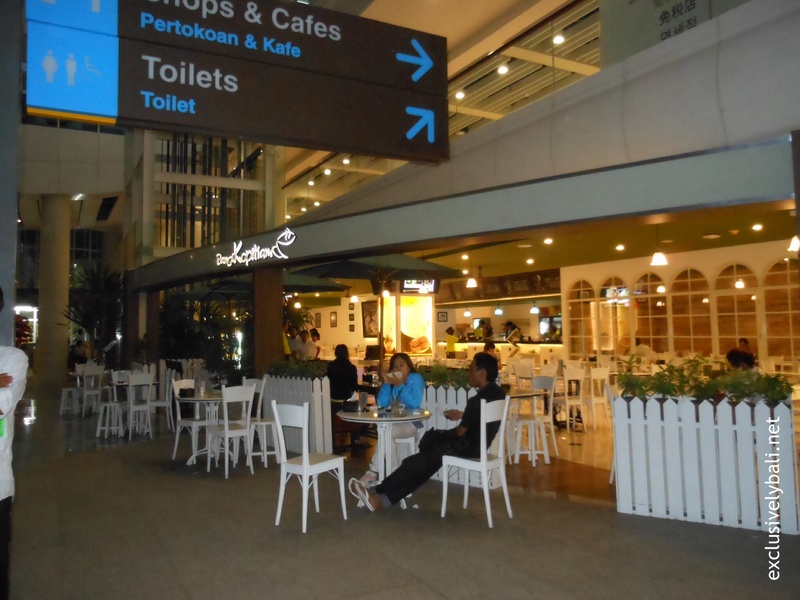 A coffee shop is open to the right hand side as you exit the airport. 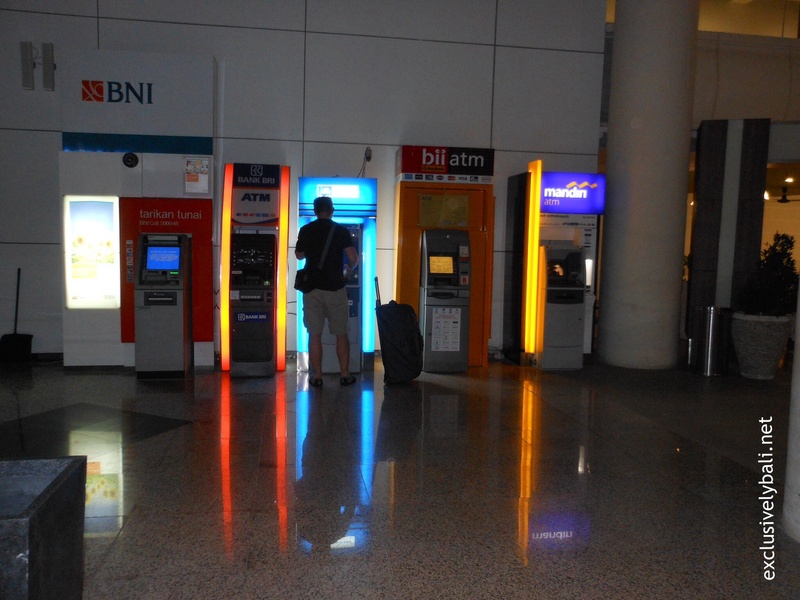 There are several ATM machines situated on the outside of Arrivals, to the right hand side, just beyond the Coffee Shop. 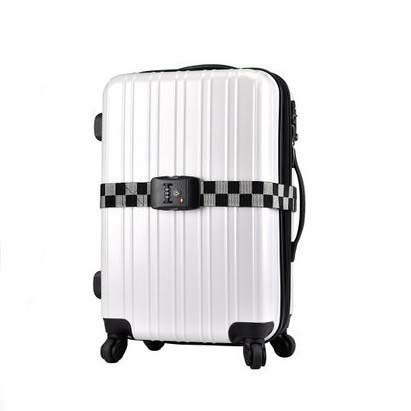 We found the whole Arrivals process speedy and streamlined!